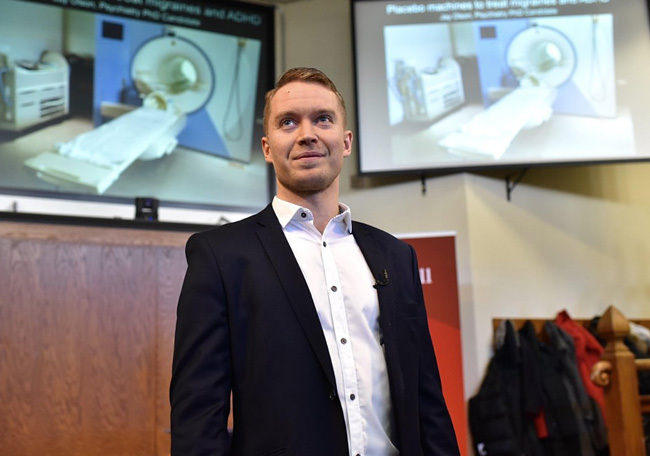 A challenging task it was, and after 30 minutes of careful deliberation, Jay Olson, a Ph.D. candidate in Psychiatry was named 3MT (3-Minute Thesis) winner and Gabrielle Houle, a Ph.D. candidate in Human Genetics, was named MT180 (Ma thèse en 180 secondes) winner in McGill’s annual competition. Surashri Shinde, a M.Sc. student in Experimental Surgery, was awarded the People’s Choice award. This year marks McGill’s 7th annual 3MT. Held on March 20, 14 graduate students captivated the audience with concise presentations of their research, delivered in three minutes or less. “To prepare participants to perform at their best, McGill offered in-depth presentation skills training over a period of seven weeks and it’s obvious from the caliber of presentations today that the training worked,” said Prof. Nalbantoglu, referencing the weeks of preparation and training provided by McGill’s SKILLSETS program. Through workshops and qualifying heats, coaches, professors, and peers from across McGill gave each participant constructive feedback on their public speaking and presentation skills. For Jay Olson, the skills training had very practical implications “3MT training gave me the chance to practice rewording my research for a general audience and get instant feedback on what was clear and what wasn’t,” he said. Olson delivered a compelling presentation on the power of placebos, with a particular emphasis on their benefits to children suffering from migraines and attention deficit hyperactivity disorder (ADHD). Beyond the ability to fine-tune the presentation, participation in the 3MT offered a new – or even a renewed – perspective on graduate student research. “3MT forced me to take some steps back and see the big picture of my project; it reminded me the social impact of my work and encouraged me to continue,” said Gabrielle Houle. 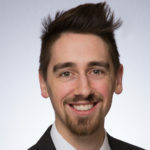 Houle, a Ph.D. candidate in Human Genetics, will now represent McGill at the French-language Canadian National Competition in Chicoutimi, sponsored by l’Association francophone pour le savoir (ACFAS). 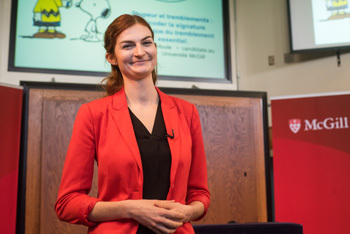 During the McGill final, Houle’s confidence and knowledge were on display as she explained essential tremors and her research into discovering causes and potential treatments for this poorly-understood hereditary condition. Olson and Houle were selected by a panel of six judges that included three McGill alumni, Didier Jean-Francois (biotechnology consultant, McGill B.Sc. ‘97); Judith Ritter (radio and print journalist, McGill M.A. ‘72); and Susan Pollock (Project Training Leader, CAE Inc., McGill B. Eng ‘98); two Montréal city councillors Cathy Wong and Valérie Patreau; and Dr. Laura Winer (Director, Teaching and Learning Services). The judges represented a diverse complement of backgrounds, including biotechnology, journalism, flight simulation, youth development, sustainable innovation and educational technology. “[The competition] was such a pleasant experience, and a great way to get exposed to some cool research happening right now,” said 3MT/MT180 judge Didier Jean-Francois after the event. Fortunately, the McGill community does not need to wait an entire year to witness another 3MT; McGill will host Canadian Association of Graduate Studies (CAGS) Eastern Regional 3MT competition on Wednesday, April 18, in the Thomson House Ballroom. Eleven student representatives from universities from Quebec, Newfoundland and the Maritimes will compete to advance to the CAGS national competition. As this event is designed to enable graduate students to convey the significance of their research to a non-specialist audience, feedback and participation from members of the community are as important as the final decision from the panel of invited judges. 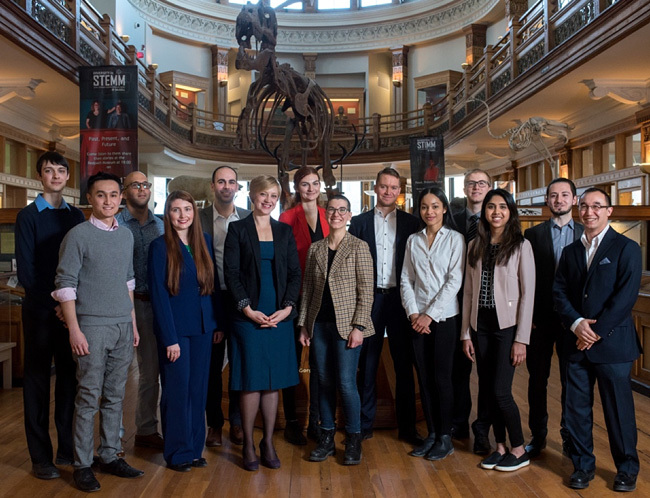 The McGill 3MT final competition – and the upcoming Canadian Regional Finals on April 18 – is free and open to the public. Audience members are encouraged to cast a vote for their favourite presentation through in-person voting or online polling for the People’s Choice Award. For McGill’s 3MT competition, Surashri Shinde connected with the audience and won their support as she expertly described how neutrophils behave as an individual’s own “Spiderman” in the body’s fight against cancer. For Surashri, the ability to connect to a broad audience was a driving motivation for her to participate in the 3MT program, and she urges future participants to think similarly. 3MT is more than just a competition to celebrate a few winners. It’s a showcase of the tremendous research conducted by graduate students across the world: students from over 60 different countries participate annually. “I think we have to have the students come back in about three years’ time and give us another three minutes at the end of their project, because it is fascinating, and I’m sure it’s going to continue that way,” said Prof. Nalbantoglu. Registration to attend the Canadian Eastern Regional Final is now open, and may be accessed here. With files from Erin McDonagh and John Van Heest. Alastair Hibberd is a Project Administrator, Graduate Education, Teaching and Learning Sevices.